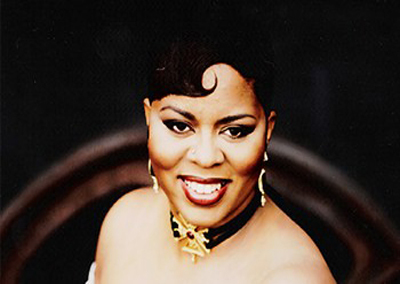 Robin S. was signed by Big Beat Records in 1993, and debut single climbed the charts the same year, as did her first album, also titled Show Me Love . The song, Show Me Love peaked at #1 on the Hot Dance Music/Club Play, #1 on the Hot Dance Singles Sales, #7 on the Hot R&B/Hip-Hop Singles and Tracks and #5 on the Billboard Hot 0. It also peaked at #4 on the Rhythmic Top 40 chart. The success earned her a spot on the 1994 “American Music Awards” as a performer. The follow up single, Love For Love saw similar success. After taking time off to work on her songwriting, she began working with producers such as Eric “E-Smoove” Miller and Todd Terry on her second album. Released in 1997 on Atlantic Records, From Now On reflected broader interests for Robin S., encompassing Gospel and Contemporary R&B ballads in addition to Hi-NRG dancefloor material. The album’s first single It Must Be Love became a huge hit on the dance chart spending 2 weeks at #1 on the Hot Dance Music/Club Play chart. It became a moderate crossover hit on the Hot R&B/Hip-Hop Singles and Tracks chart peaking at #35 and a minor pop hit, peaking at #91 on the Billboard Hot 100. The follow up single Midnight reached #3 on the Hot Dance Music/Club Play. 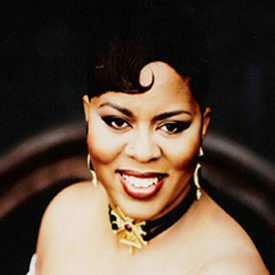 Robin S. performed the hit on the Ricki Lake show, the week the single hit Top 10 on the US dance charts. She also appeared on the RuPaul show to promote From Now On , the album sold about 100,000 copies in the US by the end of its albums chart run. Robin S. completed a successful European tour in 2004, where is a much better known for her many hits other than Show Me Love She has also become a popular performer at 1990’s Club/Dance-pop music concerts. As of early 2007, Robin S. is still recording, however, she is seeking a label home in which to release her new material with. None of the new songs have been released as yet. Robin S. continues to perform on cruise liners, in Europe and in Asia.